The most critical areas for attention regarding hazardous mining noise include the face areas of underground coal mines (43% of workers were shown to experience noise exposures above permissible levels) and coal preparation plants (over 53%; Bauer et al., 2006). Mine surfaces tend to pose less of a direct risk to workers. Noise sources involved in surface mining may include mufflers on large haul trucks or even the presence of noisy power generators. Underground Mining, in contrast, requires big ventilation silencers for fans that may run at 500k CFM, and are therefore screaming-fast with high tip speeds, resulting in exceptionally high noise generation. Also problematic are cutting machines, electrical locomotives, haulage trucks, loaders, long-wall shearers, chain conveyors, continuous miners, load-dumpers, fans, and pneumatic percussion tools. Pneumatic percussion drilling in particular tends to be a major noise hazard (McBride, 2004). Noise may be generated by the impact from drill bits and mechanical vibration from drill casings, as well as impulse noise from exhaust and ancillary equipment such as fans and blowers for mine ventilation. There seems to be no limit to the array of noise-creating equipment at play in the mining industry. To complicate matters further, the impact of any one specific piece of equipment may depend on the stage of a mining project’s lifecycle (i.e., exploration, mine development, mine operation, decommissioning, and land rehabilitation). Certain noise-generating equipment may prove more problematic in the beginning stages of a mining project, for example, than during the middle or at the end of the project’s lifecycle. As such, the most important noise sources to address may change significantly during the life of a project, which means that hazardous noise must be addressed throughout the lifecycle to ensure the protection of workers (Donoghue, 2004). Exposure to hazardous noise can result in quickened pulse rates, increased blood pressure, narrowing of blood vessels, nervousness, sleeplessness, and fatigue, not to mention the very serious problem of noise-induced hearing loss (Sensogut, 2007). Noise-induced hearing loss is “the most common occupational illness in the United States, with 30 million workers exposed to excessive noise levels every day” (NIOSH, Reeves et al., 2009). Though it affects many industrial occupations, hazardous noise exposure in the mining industry is second only to the railroad industry in having the highest prevalence of workers reporting hearing difficulty. Noise-induced hearing loss is preventable but once it has occurred, it is a permanent and irreversible condition. Some are more vulnerable to this condition than others, which makes prevention complicated. What we do know is that there are a few factors at play in an individual’s susceptibility to noise-induced hearing loss, including the length of the exposure period, the level of the noise, the age of the individual worker, and the state of the worker’s physical health. The 2003 US Mine Safety and Health Administration (MSHA) health standard for occupational noise exposure emphasised the importance of implementing and utilising feasible engineering and administrative noise controls to keep noise exposure low (Seiler et al., 2008). One simple and effective way to prevent noise-included hearing loss in mining workers involves decreasing the period of exposure. Limiting the time an individual must spend in a noisy environment decreases the risk of permanent hearing damage. Whenever possible, such limitations should be put in place to ensure health and safety in the workplace. However, under some circumstances this is easier said than done. In those cases, the best option is to attenuate the noise level. This can be done at the source of the noise, in the path of the noise, or directly at the receiver of the noise. There are three basic approaches to protecting the individual worker from hazardous noise exposure. First, we can address the source of the noise directly. This can be implemented at a number of different stages throughout the mining lifecycle. Noise should be a consideration early on and throughout the mining process, which means that it is imperative to ensure effective, considerate operational and administrative practices in the design and execution of a mining operation (Sensogut, 2007). 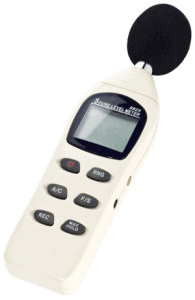 Any hazardous noise that can be removed or attenuated should be removed or attenuated. One such approach is in regard to equipment practice. This is two-pronged. 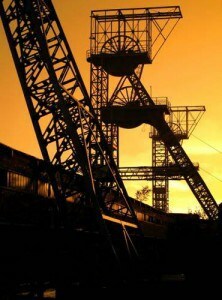 The first stage involves the selection and utilization of mining machinery that is as quiet as possible from the get-go. This may involve isolated mountings for hearer bit blocks or quieter gear drives (using modified designs), for example (McBride, 2004). The second stage involves ensuring that the equipment is well-maintained from beginning to end (Sensogut, 2007). Key to this is replacing worn components (especially vibratory equipment) and adhering to good maintenance schedules (McBride, 2004). These are relatively simple steps that can be taken early on in a project and easily complied with throughout the life of the project, while resulting in significant noise control advantages that can save a company and its workers exponentially in the long run. Also integral to noise control at the source of the noise is the use of noise mitigation equipment specific to the mining industry. Depending on the project, this may involve the use of cooler fan silencers, mufflers, or any number of other equipment options designed to limit the escape of noise from a particular piece of equipment. Sometimes attenuating equipment directly is unfeasible or can limit the efficiency of the equipment’s operation. When the noise source itself cannot be directly addressed, it may be possible to interrupt the noise on its path from the source to the receiver. This can be accomplished by using sound barriers (e.g., acoustical walls or buildings) in the workspace to block the noise from reaching the receiver. Barriers and sound-absorbing materials can be used to disrupt the path of noise. It is also possible to shield the individual’s primary work environment from the larger work environment, as in the case of enclosed operator cabs. 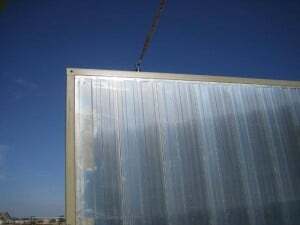 Some useful ways of disrupting noise paths include the use of engine enclosures, sealing gaps, covers for electric-motor-powered hydraulic pumps, fiberglass blanket barriers, heavy conveyor belt barriers, Plexiglas motor covers, and windshields (Reeves et al., 2009). Sound barriers are more effective than sound-absorbing materials, but it is imperative that the seals be airtight to ensure no noise escapes. Finally, noise attenuation can be put in place directly at the receiver. In this case, the individual worker exposed to hazardous noise would be considered the receiver. There is a wide array of personal protective equipment available for shielding workers from hazardous occupational noise, but there are also problems that may arise in doing so. It is therefore necessary to take into consideration the inherent limitations of any particular piece of personal protective equipment and to determine the best fit for a specific person in a specific environment. Hearing Protective Devices (HPDs) are often misused in mining environments (McBride, 2004). Misuse of protective devices is generally a result of poor compliance with recommended usage, usually due to the discomfort of wearing the device or due to hindered communication resulting from the use of the device. Both reasons for misusing personal protective equipment are understandable. In many cases the devices can be uncomfortable, so it is important to ensure proper training in how to wear and use such devices effectively. They may also hinder communication between workers as well as between the worker and the environment. It is imperative that workers be able to communicate with each other to ensure safety, and for the workers to be able to hear alarms and warnings, like conveyor pre-start signals and loader-reversing alarms. Providing high-quality personal protective equipment in the workplace along with training on appropriate use and the strategic placement of signs warning of noise hazards can aid in compliance and help reduce the impact of high noise levels at the receiver. 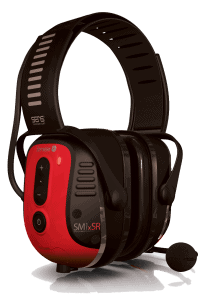 When it comes to noise-induced hearing loss in the mining industry, prevention and early detection are key to ensuring the health and safety of workers. Typically, the best protection results from a comprehensive noise control program that addresses noise at the source, interrupts noise on its path, and shields receivers from the noise. By addressing all three points of contact throughout the lifecycle of a mining project, it is possible to ensure that hazardous noise is effectively controlled and that noise-induced hearing loss among workers is prevented. Bauer, E., Babich, D., Vipperman, J. (2006). Equipment noise and worker exposure in the coal mining industry. IC 9492, Information Circular, DHHS (NIOSH) Publication No.2007-105. Department of Health and Human Services, Public Health Service, Centers for Disease Control and Prevention, National Institute for Occupational Safety and Health, Pittsburgh Research Laboratory: Pittsburgh, PA.
Hickinbotham, A., Fitz, G. (2009). Shushing the giants: a unique, first-in-Canada noise mitigation project ensures TransAlta’s neighbours sleep soundly. CIM Magazine: Innovation, 4:2, 49-50. Reeves, E., Randolph, R. Yantek, D., Peterson, J. (2009). Noise control in underground metal mining. IC 9518, Information Circular, DHHS (NIOSH) Publication No. 2010-111. Department of Health and Human Services, Centers for Disease Control and Prevention, National Institute for Occupational Safety and Health. Seiler, J., Pon, M. (2008). Engineering and administrative noise controls for the mining industry. Sound and Vibration, July 2008, 8-9. US Department of Labor, Mine Safety and Health Administration. Sensogut, C. (2007). Occupational noise in mines and its control: a case study. Polish Journal of Environmental Studies, 16:6, 939-942. US Department of Labor, Mine Safety and Health Administration (2012). Noise control resource guide: underground mining. US Department of Labor, Mine Safety and Health Administration (2012). Noise control resource guide: surface mining.